BRUSSELS, Belgium, 2018-Sep-04 — /Travel PR News/ — Radisson Hospitality AB, publicly listed on Nasdaq Stockholm, Sweden and part of the Radisson Hotel Group, is proud to announce the appointment of Laurent Maes to the role of Senior Vice President, Group Controlling and Business Planning, effective 3 September 2018. 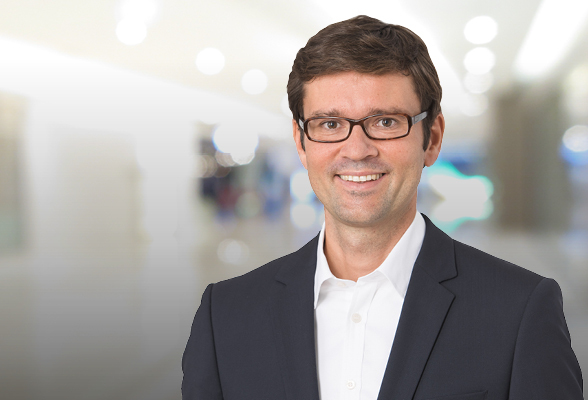 Laurent joins Radisson Hospitality AB from Johnson & Johnson – one of the world’s most renowned companies in manufacturing medical devices, pharmaceuticals and consumer packaged goods – where he has spent 16 years in Finance & Control. His latest role at Johnson & Johnson was as Senior Finance Director of the California Innovation Center. Prior to this, he held the responsibility of Finance Director for the Nordic region, Senior Finance Director and Chief Financial Officer for Johnson & Johnson, Germany – the company’s largest European operation. Laurent also spent two years early in his career serving as Management Consultant, Strategy & Organization Practice, at Arthur D. Little. Laurent is a Belgian national, and speaks English, French, Dutch and German fluently. He is an MBA graduate from the Vlerick Leuven Gent Management School (Belgium) and holds a master’s degree in Applied Economics and Engineering from University of Antwerp. “I’m proud to welcome a highly experienced international professional to Radisson Hospitality AB’s Business Leadership Team. Laurent is a driven, dynamic and engaging executive with experience in managing complex, global organizations. The entire Business Leadership Team is looking forward to seeing his expertise in finance and European markets come to life at Radisson Hospitality AB,” Knut Kleiven, Deputy President & CFO, Radisson Hospitality AB. Laurent will be based at Radisson Hospitality AB’s headquarters in Brussels, reporting to Federico J. González, President & CEO, and Knut Kleiven, Deputy President and Chief Financial Officer. The company’s Area Directors of Finance & Controlling will also have a double reporting line to Laurent and to the Senior Area Vice Presidents. Radisson Hospitality AB (publ) features a portfolio of 486 hotels with more than rooms in operation or under development in 78 countries across EMEA. Radisson Hospitality AB and its brands employ 45,000+ team members. The company has an industry-leading Responsible Business Program and is named one of the World’s Most Ethical Companies by the US think-tank Ethisphere since 2010. This entry was posted in Hotels, Travel, Travelers and tagged appointment, Federico J. González, Knut Kleiven, Laurent Maes, Radisson Hospitality. Bookmark the permalink.